Harden twirled seven innings of one-run ball to lift the Chicago Cubs to a 3-1 defeat of Pittsburgh in the first of three straight games between these NL Central-foes at PNC Park. Rich Harden (5-4) stuck out nine and walked one while scattering nine hits. It was the right-hander's first win since May 12, having gone 0-3 over his previous four starts and 0-2 in three outings since coming off of the disabled list. Windy city series winds down as both teams try to stay in contention for a playoff spot. The rubber match in a 3 game set between the two Chicago based teams in Major League Baseball will get underway today at 2:05pm ET. Heading to the mound for the Cubs is Carlos Zambrano, a 28 year old right handed pitcher who is 4-2 on the season with a 3.48 ERA. There are three things fantasy baseball owners can always count on: Milton Bradley going on the disabled list, Bradley getting suspended, and Bradley hitting reasonably well on those odd occasions when he is on the field. It might be time to count on a fourth certainty from Bradley. Baseball's hottest hothead, its baddest of the bad boys, its champion of temper tantrums, has done it again. No, he did not tear another ACL arguing with an umpire or chase after an announcer that badmouthed him. He was taken out of a game and then told to go home by Chicago Cubs manager Lou Pinella after a tirade that even made Carlos Zambrano sweat. After spending the last two weeks glued to the Cubs' bench, Jake Fox was optioned to Triple-A Iowa on Wednesday to make room for Aaron Miles. "He just needs to get some at-bats," manager Lou Piniella said. "If we sit him here, he'll lose some of his sharpness. I was pleased with what he's doing." A controversy-free day for Carlos Zambrano is as rare as a Chicago winter without potholes. In the last two weeks, Zambrano has smashed a Gatorade dispenser, bumped an umpire, received a six-game suspension, missed the team charter and announced he would retire at the end of his contract. University of California center fielder Brett Jackson admitted he was "absolutely shocked" after the Cubs selected him with the 31st pick in the 2009 amateur draft. "They were on our radar, but we had higher hopes than we thought they did," Jackson said. 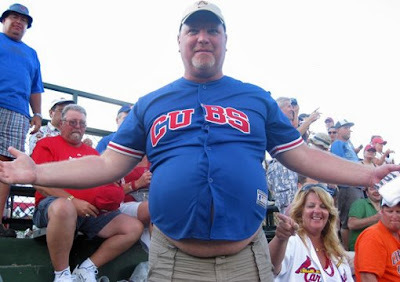 "I'm a big Cubs fan. It's a tremendous organization. "Honestly, truly, I was hoping to be a Cub and couldn't believe it when my name was read." Was Milton Bradley the Worst Possible RF Solution for the Chicago Cubs? There are no "do-overs" in baseball, as much as Cubs General Manager Jim Hendry would like one right now. Less than a week after trading fan-favorite and possible right fielder Mark DeRosa to Cleveland this offseason, Hendry signed free agent OF Milton Bradley to a three-year, $30 million dollar contract. Many Cubs fans weren't happy, not only to see DeRosa go, but to see a player brought in who had played over 120 games in a season just twice, and most of those at the designated hitter position. I'm not even going to get into the on and off the field antics he is so well known for either. Two years ago, the Chicago Cubs made a bold decision. 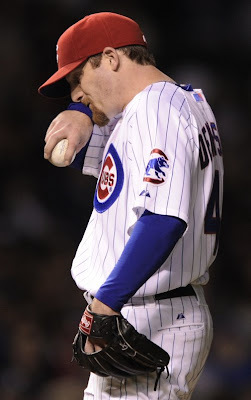 The one-time face of the franchise, the future of the starting rotation, the hope of the city of Chicago, Kerry Wood, was going to move to the bullpen. The decision was partially made to give Wood a career. He had a longer laundry list of injuries and surgeries than he did pitching successes. 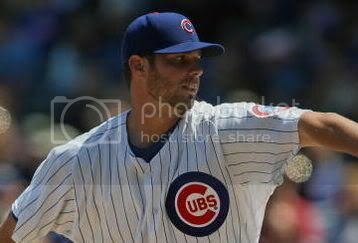 But he always busted his tail to get back on the bump for the Cubs, so, out of respect for that, the team moved him into a role that would use his arm and shoulder more conservatively. Hold on Cubs fans. Put the life jackets back and get on board the ship. It is not sinking yet. After tonight's dominating performance from Big Z, the Cubs are only 3.5 games back in the NL Central, trailing only the Brewers and Cardinals and tied with the Reds. The win kept them from losing any ground. At times, this season has looked bad, even abyssmal; however, Cubs fans can sit back, relax, and just breathe. If you think about it, there’s no better time to start buying Chicago Cubs related gifts than now, when all the Cubs fans you know are high for all the run of recent success that they’ve had. If you need to give a gift to a friend or relative who is a fan of the Cubs, head on down to the Chicago Cubs Gifts section on diehardfans.com and you’ll find a wealth of items for you to choose from. For students and even for white-collar fans of the club, you can get a Chicago Cubs Replica Mini Helmet display for inspiration while grinding for the exam or waiting for the clock to strike five. That mini display can also be used as a display on the TV or game room to give it a little extra team spirit feel. For the more discerning fan that you know, there’s the collector’s favorite, the MLB Chicago Cubs Team Force 24kt Gold Coin Photo Mint, which is a collection of photos and rare collectible mint coins. The most beat up thing in the Chicago Cubs dugout is being removed for its own safety. It's not a player, coach or member of the Cubs' staff--it's the dugout's Gatorade machine. According to the Chicago Tribune, the dispenser's last day was on Sunday. It has been replaced with a water dispenser, which the Cubs will be able to enjoy however they see fit when they return to Wrigley Field after a road trip on June 12. Jake Fox may get his first start Saturday, playing in right field against rookie left-hander Matt Maloney. "Our problem here is that in the areas he plays, we have more depth than anywhere else," manager Lou Piniella said. "There's a possibility I'll just put him out there in right field." It isn’t surprising that with two winning seasons and back to back division championships to boot, Cubs fans would go gaga over team merchandise, both to show their support and appreciation for the team’s efforts as well. Some of the popular picks come from the Chicago Cubs Memorabilia section, which include the Cubs 'Geovany Soto' 2008 N.L. Rookie of the Year 24KT Gold Coin Photo Mint and Geovany Soto Autographed Photo Mint, or the Carlos Zambrano 'No Hitter' Photo Mint (with 2 24KT Gold Coins included). These photo mints are popular because they are easy to appreciate and display. You get a limited photo of your favorite player as well as two limited edition gold commemorative coins all placed in a high quality photo frame ready to hang right from the box. Fans love this item because it is more than just a piece of merchandise, but a collectible that may be worth a pretty penny someday – sort of an investment, just like a painting by a talented artist. Some other notables in this section include the Wrigley Field Infield Dirt Photo Mint, Alfonso Soriano 24kt Gold Coin Photo Mint, and Chicago Cubs 24kt Gold and Color Team Commemorative Coin. A rainout forced the Atlanta Braves to wait a day for their first look at their new center fielder and No. 3 hitter. The rainout forced the Chicago Cubs to wait another day for the return of Carlos Zambrano from a six-game suspension. The Chicago Cubs joined the community of Humboldt Park neighborhood to celebrate the grand opening of Little Cubs Field at Humboldt Park on May 30. Cubs Chairman Crane Kenney and Cubs players Carlos Mármol and Ángel Guzmán joined Alderman Billy Ocasio and Chicago Park District General Superintendent Timothy Mitchell to officially open the park. 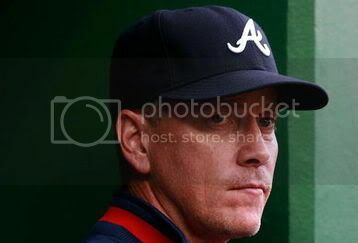 On Wednesday afternoon, the Atlanta Braves released future Hall of Fame starting pitcher Tom Glavine. Glavine, who had just made what appeared to be his final rehab start on Tuesday after offseason shoulder and elbow surgeries, is now looking for options to pitch in the majors again at 43 years old. Would Glavine make sense in Chicago? The Cubs have shown a few things over the last few seasons, with the same issues being magnified this year: the team lacks a calm, veteran, championship presence on the roster. The biggest difference between last season’s Cubs, which had one of the best records in the MLB, and this season’s team, has been the continually faulty play of the bullpen. Without Kerry Wood, the bullpen has struggled mightily as Carlos Marmol has been much worse than last season. The Cubs failed to back up another stellar start by Randy Wells, who took a no-hitter into the seventh and a shutout into the eight inning, but was pulled in the eight after 83 pitches. Despite the strong performance by Wells, the Cubs still lost the game 6-5 in extra innings, thanks mostly to yet another bullpen collapse. Read the rest of this entry at The Daily Cub. The Chicago Cubs open up the 10-game homestand for the Atlanta Braves against NL Central teams at Turner Field tonight. The Cubs come in just one game over .500 on the season, as the Braves open up June at .500. It's always a fun series when the Cubs are in town, and tonight will have the added bonus of two former Chunichi Dragons players, Kenshin Kawakami for the Braves and Kosuke Fukudome for the Cubs, facing each other for the first time. To help give Atlanta fans an idea of how the Cubs season is going I've exchanged five questions with Chicago Cubs blogger Al Yellon of Bleed Cubbie Blue. Al is a terrific blogger and a nice fellow. We met last year at the Hall of Fame game in Cooperstown, NY, which ended up being rained out. Anyway, here are my questions to Al about the Cubs. I'll post a link later for his questions to me about the Braves, when they are posted to his site. Q: Most people expected the Cubs to hold first place in the Central for the entire year, are you disappointed that the Cubs are only one game over .500 and in fourth place in the division? A: Disappointed? Sure, but without Aramis Ramirez and with a bullpen that quickly sunk into mediocrity -- OK, at times awfulness -- one game over .500 and only 4.5 games out of first place on June 1 isn't that bad. Ramirez is the Cubs' best hitter, the guy every other team fears every time he comes to bat. The Cubs have a huge hole in the middle of their lineup and guys like Milton Bradley, Derrek Lee and Geovany Soto have not yet stepped up to fill it. The Chicago Cubs look like they have started to take away some of the question marks surrounding this team. How can a pitching staff that's so good on paper (maybe the best in the National league, when healthy) keep losing one run games? Ted Lilly got the win in a close 2-1 ballgame. How can an offense that was so potent and productive last year not be scoring runs consistently? The Cubs, combined with a masterful performance from Ryan Dempster, shut out the Dodgers 7-0. With the Chicago Cubs, the question of whether the glass is half-full or half-empty is often a matter of fierce debate. You can be sure that the glass is neither completely full nor totally empty, but after that, the argument starts. The pattern hasn't changed in the first two months of the 2009 season. You can look at the Cubs' 25-24 record as May ended on Sunday night and become somewhere between distressed and demoralized. This is no way to follow up on a 97-victory season. The Chicago Cubs knew exactly what they were getting into when they signed OF Milton Bradley to a three-year deal: The arguments with umpires, countless injuries, and absolute quotable gems that Bradley gives out like food stamps to the media. For the Cubs, Bradley's performance on the field was enough to cause them to overlook these less-than-favorable characteristics, but the time is coming (if it hasn't already) when Bradley will inevitably cross the line. Thus far, Bradley has had two injury stints, an ejection, and has rapidly developed an extremely negative relationship with the Chicago media. Recently, there have been reports that Bradley is a negative influence in the clubhouse (shocker). In other news, he is also batting .042 with one RBI and .281 OBP. As a Cubs fan, I was gung-ho about signing Bradley and truly wanted to believe that the old Bradley was gone and that he had changed. Even after his ejection, I was quick to praise Bradley for his competitive fire and genuine desire to win. The day before the season began in Houston, coming off a red hot spring, Milton Bradley said he was ready to show Cubs fans what he was all about. "Hopefully they can realize the kind of player I am, and realize I'm worth every penny I'm making," he said. Nearly one month later, Bradley now is hoping first impressions aren't lasting. The $30 million outfielder returned again from his lingering groin injury Tuesday night at Chase Field, trying to prove his first month as a Cub was just a mirage. 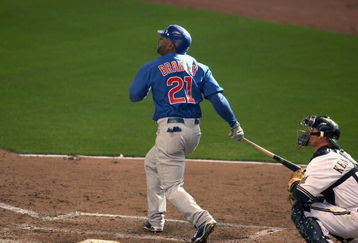 Bradley had a promising return, going 2-for-4 in the Cubs 11-3 victory over Arizona. The Chicago Cubs came into this season with the expectation of at least contending for a World Series title. However, they have struggled mightily this season, and they have been unable to live up to the high expectations that accompanied a seemingly unstoppable pitching rotation and batting order. As of late, the Cubs have been even worse, as they have gone 3-5 in the month of May. What the problem has been for the Cubs is an inability to be consistently strong. When they have great offensive days, they have been accompanied with great pitching days, and bad offensive days have been accompanied with dismal pitching. In the Cubs' three wins this month, they have scored seven, 10, and 11 runs in each game, but in their five losses, they scored zero, one, three, two, and two runs. Compare that to the two, three, and three runs allowed in the three wins, and the three, seven, four, eight, and seven runs in the losses. The Cubs need to be able to put together more wins, and that starts with both sides of the ball being held responsible when both sides are dismal in the same game. One of the main reasons for the Cubs' woes so far this season is the awful offensive production by players who were looked at as people who needed to contribute for the Cubs to be strong. CHICAGO -- The Cubs and the McCormick Foundation on Tuesday announced $1.06 million in grants through Cubs Care, a fund of the McCormick Foundation, to non-profit organizations serving the Chicago area. Since 1991, the team has distributed more than $14 million to Chicago non-profit organizations. Cubs pitcher Sean Marshall helped present the grants at Tuesday's luncheon to representatives of non-profit organizations which aid children with special needs, provide youth sports programs, assist victims of domestic violence and serve the Lake View community. "We are so proud of these 41 agencies and the tremendous work they do to help those in need in our community," said Mike Lufrano, Cubs senior vice president of community affairs. "Today's grants highlight the Cubs' ongoing partnership with organizations making a difference in the lives of people throughout Chicago." Lufrano noted that in its first year, Cubs Care donated $65,000 but has been able to distribute more than $1 million each of the past four years. I realize that Barack Obama is a White Sox fan. It happens when you move to Chicago's South Side and start a political career. But is it right for President Obama to use his office to promote the White Sox, Chicago's least favorite professional sports franchise, by allowing members of the team to visit the White House? The trip is set for today, when the team should be preparing for an upcoming series with Baltimore. I hope Obama remembers the challenge I made to him after an interview last year. I asked him if he would invite the Cubs to the White House, when they won the World Series. He responded that he would be long gone from the White House by the time the Cubs won it all. After the first two weeks of the season—11 games for the Cubs—what do we know about the two-time defending Central Division champions as they prepare to play host to Dusty Baker's Cincinnati Reds? "It's going to take us a little longer [to know]," manager Lou Piniella said. "I've got 40 percent turnover on this team. That's a lot." Technically, Piniella is correct, but most of his core lineup and starting rotation is the same as last summer. The bullpen ... is not nearly as jumbled as many believe and is sorting itself out quickly, with Aaron Heilman the bridge to Carlos Marmol and Kevin Gregg. But the future of David Patton is in doubt and the annual problem with left-handers is surfacing early. Like Will Ohman two years ago and Scott Eyre a year ago—both gone at season's end—Neal Cotts is quickly working his way into the manager's doghouse. Piniella does like lefty Sean Marshall, who is in the rotation—for now. But with Jeff Samardzija starting and doing well in Iowa, could he be promoted and Marshall returned to his bullpen role that Piniella favored last year? Milton Bradley is ... well, what is he? Is he a question mark because of the small sampling? Or just what was expected, given his tight lower body and history of leg problems? Forget about the infamous temper, Bradley's physical status could become an on-going saga. Samardzija pitched six one-hit innings on Saturday, and appears to be back to the old Samardzija after a rough spring in Arizona. If Neal Cotts continues to struggle, the Cubs could bring up Samardzija as a starter and make Sean Marshall the left-hander in the bullpen, though nothing appears imminent. "Jeff is stretching out fine and working on his other pitches," Hendry said. "That was really encouraging. You can always go from starting back to the pen. We’re just going to try and keep him really tuned up and get him a little better, and whenever we need him, in whichever role we need, we’ll get him up here." While Bradley awaits word from Major League Baseball on when he’ll get his hearing on his two-day suspension for making contact with umpire Larry Vanover, the Cubs are being extra cautious with his groin injury. Recall that this originally was termed a "mild" strain that would force Bradley out for only 3-5 days. It’s already eight days, and counting, though Bradley may play on Tuesday night against Cincinnati. "He’s a well built guy and has an extremely muscular lower half," Hendry said. "He’s susceptible to some tweaks and pulls. I think he’s OK. We’re being real cautious. I’m sure if it were late in the year he could’ve played this week. I’m certainly counting on him hitting in that four-hole most of the year." Hendry also is unconcerned about Bradley’s slow start, and his infamous temper that was on display last Thursday. "Nobody knows what people are like unless you actually play with him or work with him," he said. "And all those people involved are certainly glad he’s here." The converted catcher already is hitting .478 with seven home runs and 22 RBIs at Triple-A Iowa while playing first base and right field. The Cubs haven’t used fifth outfielder Joey Gathright much in the early going, but Gathright doesn’t seem to be in danger of being sent down to make better use of Fox’s hot bat. Sooner or later though, Fox will get a chance with the Cubs if he continues to hit like this. "Jake is swinging the bat well, which he could always do," Hendry said. "We knew all along we’re not going to win with the 25 (players) we have now. It’s going to take a collective effort. "At least four or five other pitchers will be here during the year, and I’m sure it’ll be the same for (position) players. You just try to keep the guys as sharp as you can, and when we need somebody, we know who to get." The Chicago Cubs and St. Louis Cardinals at Wrigley Field has been postponed due to the forecast for inclement weather throughout the evening. The game has been rescheduled for Sunday, July 12 at 12:05 p.m. as part of a day-night, separate admission doubleheader. The regularly scheduled game will follow at 7:05 p.m. Fans are encouraged to retain their tickets from tonight’s game until further information is available regarding ticket policies for the make-up game. 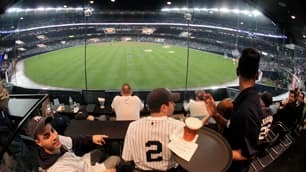 Information regarding ticket policies for the make-up game will be posted on www.cubs.com as soon as it is available. The Blackhawks and Bulls are back at it in the playoffs Monday night, the Hawks in Calgary, the Bulls in Boston. The Cubs are off Monday, resting up for a Tuesday night reunion with Dusty Baker, after Sunday's series finale with St. Louis was washed out. The White Sox, after flexing their muscles against Tampa Bay, are in Washington to visit the new home of an old friend. The trip to the White House residence of First Sox Fan Barack Obama is unrelated to the small piece of history the team helped make Saturday. That history might be insignificant in the big picture, but it sure provided a feel-good moment for world-weary Chicago sports fans. In order, the Bulls, Cubs, White Sox and Blackhawks won their Saturday games, the Bulls and Hawks in the playoffs, the Cubs and Sox over significant rivals, ancient and recent. A lot of Chicago fans grow up believing they'll never see such a day in their lifetimes, even though it's not nearly as unusual as, say, a Chicagoan getting elected to the White House. 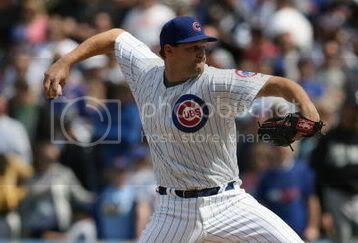 Rich Harden started out like he was going to match Kerry Wood's 20-strikeout game in 1998, fanning the first four Colorado batters. But Harden struggled with his control in the second inning Wednesday, falling behind hitters and running up his pitch count. Manager Lou Piniella didn't seem to blame Harden for the outing, which was his first loss in Wrigley Field. "It was a cold, blustery day," Piniella said. "His stuff was good. The results weren't." Harden had eight strikeouts in only three innings but wasn't sharp otherwise. A 14-pitch at-bat by Garrett Atkins in the second, when Atkins fouled off eight straight before striking out, was the start of the downfall. There's a lot to like about this year's version of the Chicago Cubs, last spotted curdling like milk against the looser, more-confident Dodgers (last fall). To counter right-handed pitching, the Cubs have added the leftist Milton Bradley, a stabilizing influence to any organization. Of course, here at Guthries Tavern in Chicago's Wrigleyville, they've got a pool going on who will throw the first dugout punch -- Carlos Zambrano or Bradley. The smart money is on Uncle Milty. Stay tuned. Footage at 11. Meanwhile, they are having a certain amount of buyer's remorse over this 2016 Olympics, which they stole fair and square from L.A. two years ago. The conventional wisdom seems to be that only Mayor Daley and his cronies will benefit from acquiring the summer event from international rivals. When the season began in Houston, Lou Piniella repeatedly said it will take some time to learn his bullpen and how he will use it this season. Carlos Marmol is the only reliever who was with the team at this time last year. Neal Cotts became a mainstay by mid-summer, and Angel Guzman returned from the minors in September. Kevin Gregg, Aaron Heilman, Luis Vizcaino and David Patton are all newcomers with diverse résumés, though all but Patton—a Rule 5 pickup—are veterans. While Piniella is learning his relievers, his relievers are busy learning him. Just seven games into the season, they already have learned he likes to walk backward to the mound, rants at his pitching coach in the dugout, drops more profanities than Eminem, believes in karma, doesn't always remember your name and doesn't shave every day. 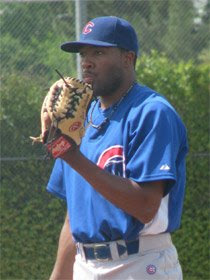 Chicago Cubs pitching prospect Jay Jackson knows that pitching in Double-A will be a challenge. As if he needed proof, Jackson learned that lesson on Sunday when the Jacksonville Suns struck for six runs and seven hits in four innings in his first start for the Tennessee Smokies. Nomar Garciaparra and Orlando Cabrera, forever linked in Red Sox history, finally met as teammates this winter. Both of them wearing Oakland A's uniforms in spring training, Garciaparra approached Cabrera. "It's about time we get to play together," he told him. Garciaparra left Boston, of course, when the Red Sox landed Cabrera in the trade that sent Garciaparra to the Chicago Cubs and out of Boston for the first time in his career. It has been 4 1/2 years since Garciaparra played for the Sox. He played against them for the first time last night, batting fifth against the team that drafted him and with which he became one of baseball's best players. Garciaparra went 1 for 4 with a solo home run to left off Jon Lester in the fifth inning, his first homer of the season. Jason Varitek reported that Garciaparra "said it was weird," to be facing the Red Sox. Garciaparra signed a one-year contract with Oakland in early March, ending his three-season tenure with the Los Angeles Dodgers. He said if his career continues, he would welcome playing for Boston again. CHICAGO, April 13 (Reuters) - The sale of the Chicago Cubs baseball team could drag on past May as the Ricketts family arranges financing for its $900 million bid and works for Major League Baseball's approval. Officials with Tribune Co, which is selling the team, its storied home park of Wrigley Field and a 25 percent stake in a local sports TV network, had originally hoped to have the deal done in May. "They are being optimistic, frankly, despite good intentions all the way around," said a person with knowledge of the sale who was not authorized to speak on the matter. Cubs Chairman Crane Kenney declined to speculate on when a sale might be completed. 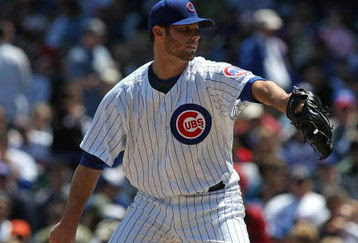 The Cubs were scheduled to play their first home game on Monday against the Colorado Rockies. But others were more optimistic about the timetable. "I still think we're going to get it done in May. I don't see why we're not," said a second source familiar with the sales process who asked not to be identified. Tom Ricketts, the Chicago-based chief executive of Incapital LLC and the son of the founder of TD Ameritrade Holding Corp (AMTD.O: Quote, Profile, Research), is leading his family's bid for the Cubs. The Cubs begin a new era in 2009, reverting to being a family-owned ballclub for the first time since Tribune Co. purchased the team for $20.5 million in 1981. The deal to sell to the Ricketts family is not expected to be finalized for a month or so, but players and management are already looking forward to the change. 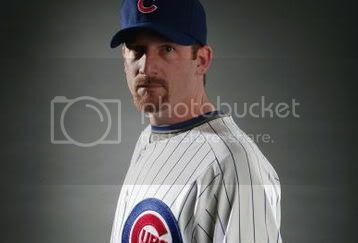 "I'm excited, once it goes through," Ryan Dempster said. "I think it'll be pretty nice to shake someone's hand and know who your boss is." The Cubs have yet to meet the new boss, but many of them are hoping he'll be the same as the old boss, at least when it comes to spending money. "I'd like to see what kind of plans they have, but I'm pretty sure they'll be good," Aramis Ramirez said. "They're Cubs fans, and they know we've got a good team. Everything they do is going to be for the team." When the Cubs decided to tender Chad Gaudin a contract in December, they did so with the idea that he could easily be traded if he didn't make the roster. 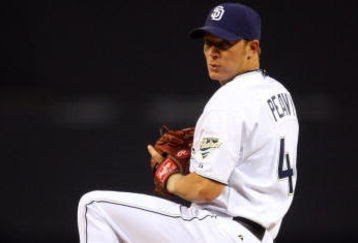 But an ugly 10.26 ERA this spring ruined any chance of that, and general manager Jim Hendry bit the bullet Sunday and released the veteran in favor of keeping Rule 5 pick David Patton. Angel Guzman also made the final cut. Jeff Samardzija and Chad Fox were optioned to Triple-A Iowa. All are right-handers. Hendry ultimately decided that eating $1.6 million of Gaudin's $2 million contract was preferable to watching him drive manager Lou Piniella crazy with inconsistency. "Truthfully, Gaudin didn't pitch well," Hendry said. "I think we did the right thing. The facts of the matter are the other guys just outpitched him." Patton, 24, was low-key about the news, though he was bursting with pride inside. "This is what you devote all your time to and what I've wanted since I was a little kid," he said. "I'm excited about this, but this is just the beginning. I want to do something special." Hendry credited the Cubs' scouts for noticing a prospect who had been overlooked in the Colorado organization. "I applaud our scouts that stuck their necks out on a kid that was in A ball in the Cal League," Hendry said. "It was a long shot when he got here, and the kid deserves all the credit in the world for pitching himself [onto the roster]." Zambrano backtracks: Carlos Zambrano denied saying he wished Chicago would build the Cubs a new ballpark, as he was quoted Saturday by the Associated Press. Many fans were livid over the comment, but Zambrano said they shouldn't be upset with him. "Why? They don't have to be mad," he said. "I didn't say they have to build a new stadium. If the Cubs do, we will be much better and more comfortable as a player. "It's my opinion, and sometimes when fans say something about a player, you have to respect it. But I didn't say we should move. I love Wrigley Field. Don't get me wrong. It's a nice ballpark, but if the Cubs think sometime, 10 or 20 years from now, if they think about [building] a new ballpark, it should be good." The quote: Milton Bradley on his first Opening Day, with Montreal at Wrigley Field: "It was like 25 degrees and freezing, but guys had on no shirts and were talking about my mom. They were telling me I was going to be back at [Triple-A] Ottawa in a couple of weeks, and they weren't too far off. I let it get to me, but I know now it's going to be a different experience, being a Cub." Extra innings: Samardzija will begin in Iowa's bullpen to stretch out and will go into the rotation after an outing or two. ... The Cubs are 73-58-2 all time on Opening Day.